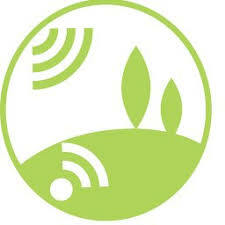 The LandSense Innovation Challenge targets individuals, web-entrepreneurs, start-ups and SMEs coming from all participating H2020 countries, to present innovative IT solutions in addressing one of the three LandSense domains: Urban Landscape Dynamics, Agricultural Land Use, and Forest & Habitat Monitoring. The focus of this challenge is on using data streams coming from the LandSense Engagement Platform, the Sentinel Hub Service or other relevant EO data sources to design novel Land Use/Land Cover solutions for a range of applications within the selected domains. Four LandSense Challenge finalists will have the opportunity to present their ideas at the Second International ECSA Conference 2018 on 3 June 2018, in Geneva, Switzerland. More information on the Challenge and on how to apply is available here. Don’t wait too long, as the deadline to submit proposals is 30 March 2018! LandSense is building an innovative citizen observatory to uncover the collective potential of citizen-powered science and satellite imagery to improve the way we see, map and understand the world. The LandSense Citizen Observatory, funded by the Horizon 2020 program, will offer modern community-based environmental monitoring tools and information systems to help transform decision making. Through Earth Observation (EO)-driven mobile applications, LandSense promotes citizens to not only play a key role in environmental monitoring, but also to be directly involved in the co-creation of such applications. Currently within the EU’s EO monitoring framework, especially in the domain of Land Use Land Cover (LULC) dynamics, there is a need for low-cost methods for acquiring high quality in-situ data to create timely, accurate and well-validated environmental monitoring products. LandSense aims to disrupt the EO data economy by creating marketable solutions that can provide a step-change in LULC monitoring activities both within and beyond Europe. More information on LandSense can be found here.